Despite the link-baity headline, don’t get me wrong, I friggin’ love Google. I’ve been drinking their Kool-Aid for over ten years. There are only two things I really enjoy in life: SEO and spending time with my family. OK, I like fishing too, but it really isn’t about that. I am writing this post to point out how complicated and confusing Google guidelines have become. SEO-friendly web design has evolved into its own genre of web coding. Yet, very few web designers have a deep understanding of SEO. Many of us SEO grunts know from experience that design-driven sites require a lot of tweaking and cleanup work. When you toss in the fact that algorithms have become increasingly punitive in nature, it’s easy to see how small businesses and webmasters can get frustrated with the ever shifting algorithmic sands. Google reminds me of the IRS in that the tax code in the US has become so complicated that no one really ever knows any more if there are breaking or complying with all of the rules. Google’s policies are becoming so complex that they often have trouble playing by their own rules. 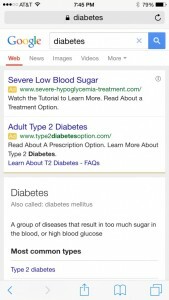 If you’ve had a chance to do a search on a mobile device lately, you’ll notice that you rarely get to see an organic search result above the fold. Yet if webmasters were to use Google as the model to design a web page, they would likely be subject to the page layout algorithm penalty. Note the mobile screenshot to the right, where you are served two AdWords ads first, and then scraped data from the Mayo Clinic. 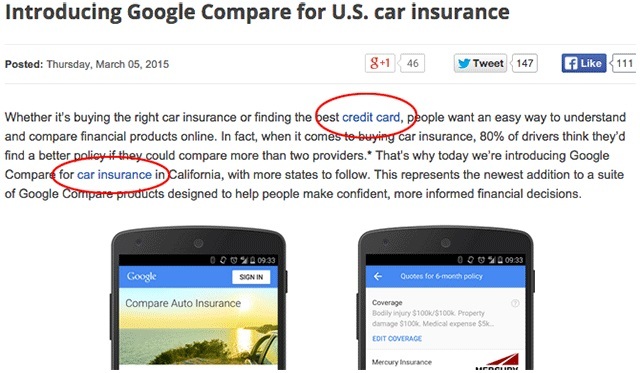 Google defines content scraping in part are as: sites that copy and republish content from other sites without adding any original content or value. 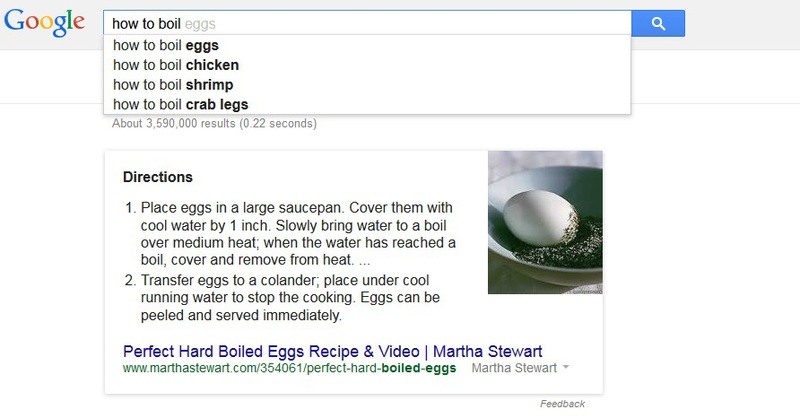 Martha Stewart has great authoritative content on this type of subject matter, perhaps posted for the purpose of drawing visitors to her site, yet I don’t even have to leave Google to access the example content. Hence, Martha loses a coveted page view because Google bypasses her site, and serves the most relevant content from that page right in the search result page. This would seem to fit the definition of content scraping. 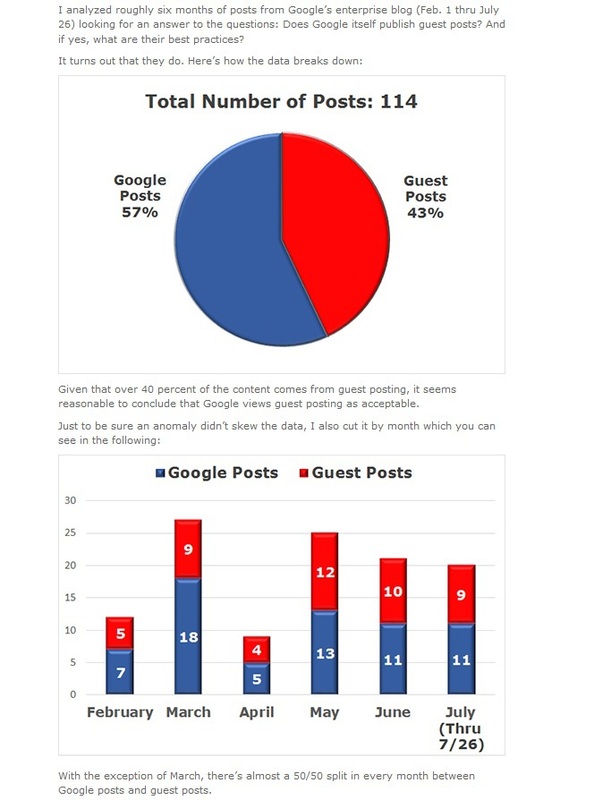 We all know that high quality guest blog posting is one of the best things about the Internet. No matter what Google does or says in the future, this is one type of content that will ALWAYS be a big part of the web. On the other hand, low quality posting done solely for the purpose of volume link building is just another form of web spam, and if Google can curb that kind of abuse, more power to ’em. The moral of this story is that nobody can follow Google’s guidelines all of the time, not even Google – and they have a $400 billion market cap as of this writing. If one of the richest, most successful companies in the history of capitalism cannot follow its own rules, how do the rest of us stand a chance? …there’s a part of me that feels like enough is enough with the list of prohibited linking activities. I wish you’d just not count the links you don’t think deserve credit. It’s just getting way too complicated for the average small business or web designer to stay in compliance anymore. I would take that a step further and say that there is not a single website on the planet that is 100% compliant with all of Google’s guidelines. My advice to people is to create and publish the best content you can on your own site and try to get published on other great sites that are relevant to your niche. If you are proud of a particular site linking to you, proud of the content and of the way it got there (i.e. you earned it and didn’t pay for it), it’s inevitably a great link. Great post! They also use accordion sections but they say not to do this because they man not get indexed. LOVED THIS. 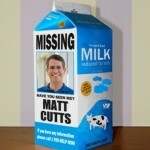 ” …Matt Cutts, who may be setting the world record for longest vacation…” Perfect. Couldn’t agree more with Danny’s statement, but Google will never change. Creating an environment of FUD is perfect for them. Businesses like certainty, so PPC sounds like a much better idea than SEO. Now let me get this straight. Let’s say I have a web client that’s in car insurance, and I’m running his AdWords campaign to the tune of a grand a day for him (small potatoes to be sure for that niche, but what the hey… he’s still their customer). OK, so Google takes his money, sends him a few leads from his ads, and then determines the rank of his website in their search engine… BUT… oh, I see… Google is advertising there too, as a direct competitor with their “Google Compare” (which is certainly going to affect my client’s ranking, probably knocking him off the first page of search results, lowering his ad position, and maybe even allowing Google to siphon off some traffic). Remember now, he’s Google’s CUSTOMER. That certainly looks like stacking the deck to me, outright fraud or thievery, or maybe even a clear violation of “the Sherman Anti-trust Act” (anybody remember that law? ), not to mention the fact that Google now has all the information they need to solicit and sell my client’s leads including the now unavailable keywords, which Google hides from him, that got them to his site to begin with). Could anything be more anti-competitive than this scenario? How ’bout a little Congressional intervention here, folks, before Google and Monsanto take over the world. And if there was, would that site actually rank well for related terms? I suppose this gets at the balance that Google seems to aim for when deciding which penalties to push and which to soften. Sir, I love you 🙂 You made my day ! Phil – thanks for the article. Great points. I checked out your upcoming book and tried to send you an email to sign up for it but it failed to send and told me to contact you another way. Thought you might like to know. You might be missing out on future sales.